Year-long contest gives entrants opportunity of a “lifetime"
Resort Collection, the industry leader in property management, manages over 950 gulf-front and gulf-view vacation rentals and golf villas, which includes combined indoor and outdoor meeting space, tennis, multiple upscale retail shops, eateries and coffee shops, state-of-the-art fitness rooms, an outdoor basketball court, 26 luxurious pools, a 9-hole executive golf course, and more on Northwest Florida’s Gulf Coast. On March 1, 2019, they announced their “Vacation for Life” contest. The contest allows participants to enter the contest for one year. 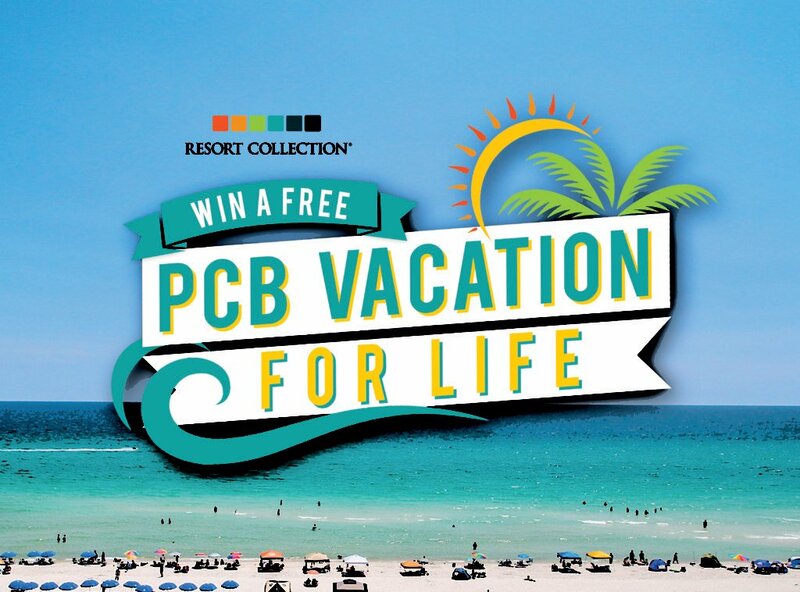 The Grand Prize winner will win one free 7-night vacation in Panama City Beach for life at one of Resort Collection’s 12 resorts. Entry for the contest is simple. Eligible participants can visit ResortCollection.com and enter their name and email address to be entered to win. In addition to the grand prize, four other winners will be selected to win a free 5-night vacation. After a winner is selected, they can start making a Panama City Beach bucket list. This is a prize like no other and the opportunities are endless knowing they will be back year after year. Everything from award-winning cuisine at Firefly restaurant, to swimming with the dolphins at Gulf World. With unlimited possibilities for new adventure, they can also charter a pontoon boat to Shell Island one year and take a deep-sea fishing trip the next! This contest allows the winner to create a new Panama City Beach vacation experience year-after-year. Don’t miss out on the opportunity to guarantee a free vacation to Panama City Beach, Florida, for life. Visit ResortCollection.com and enter today to win. Good luck! For official contest rules and conditions, visit ResortCollection.com.